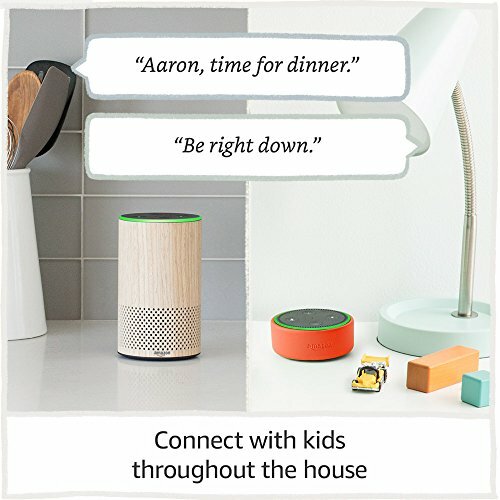 Amazon Echo Dot Kid’s Edition (2018) Review: Making Childhood Safe & Fun! And yes, there is such a song it turns out. Which is why when I heard Amazon was releasing a kid-friendly Dot I was the first to learn about it and sign-up for one. 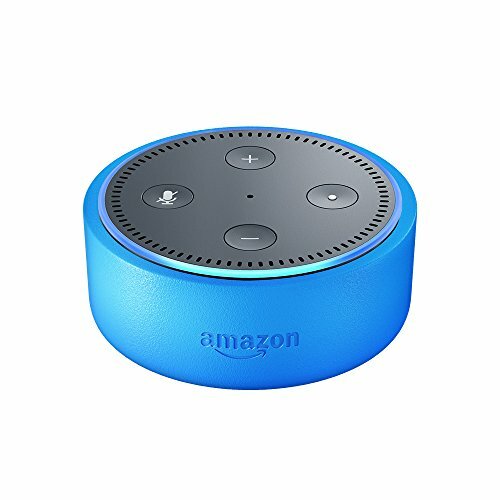 And if you have lil ones you will too after reading my Amazon Echo Dot kid’s Edition review. 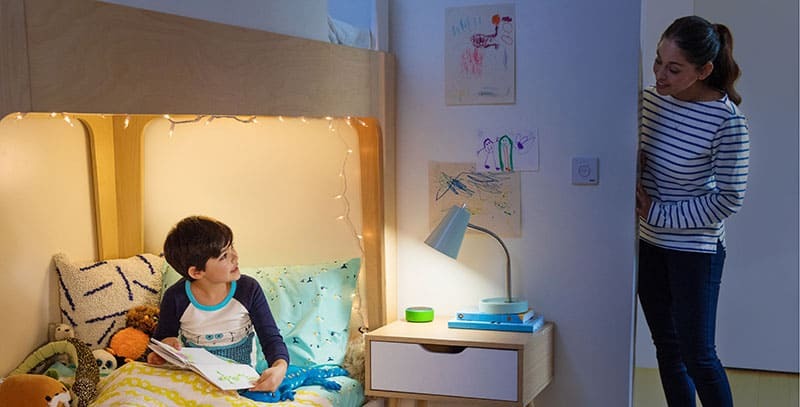 If you have an Echo Dot you may be wondering why you need one just for your child; and while there are several reasons, all of which I’ll outline, the biggest reason is that it is just for kids. No access to inappropriate content and access to thousands of kid-appropriate songs, books, and more. I don’t know about you, but after setting parental controls everywhere and explaining to my 8-year old son for the thousandth time that Grand Theft Auto is NOT just a racing game and he can’t watch it on YouTube, I welcome a device that eliminates exposure to any of that! The kid’s version of the Dot, which will be available May 9, is meant to be an entertainment and learning tool for your kids. Shaped just like the original Echo and featuring the same user buttons, it has a protective case, just like the kid’s Fire tablet, and can tell jokes, play music, games, and more. 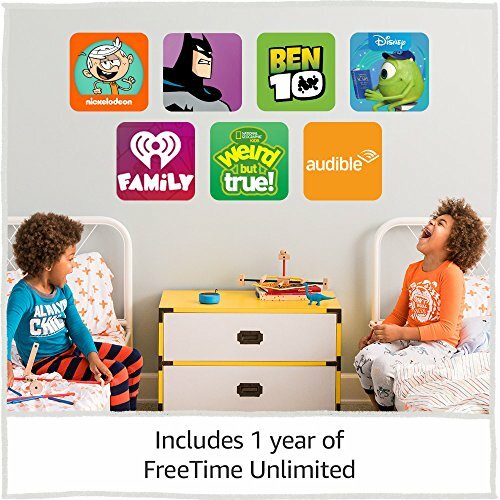 Free Time Unlimited is a service that gives kids access to thousands of song, educational content, skills, books and more. 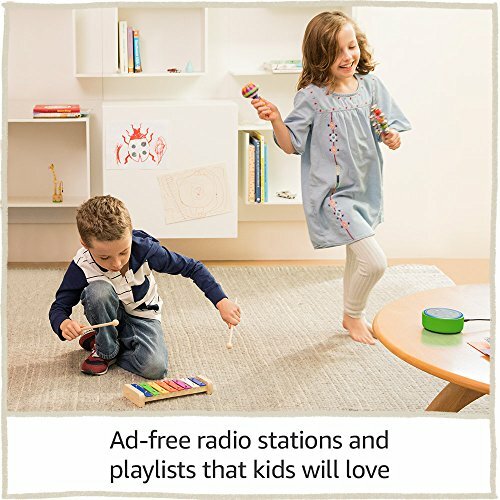 There is ad-free music from stations like Radio Disney and Nick Radio, making Alexa a built-in DJ. Have them play music while you cook or let them jam at their next pajama party. Oh, and with the Alexa app you can set time limits and block explicit music or content. Amazon automatically filters for this content, but you can add specific songs if you want or need to. With the 300 audiobooks, kids can hear a bedtime story, learn about the environment, or anything else that interests them from National Geographic, PBS, and the kid-focused skills can teach them how to dance, tie their shoes, or play the latest Sponge Bob trivia game. And once again you control the content and time limits using the app. I like that they can learn things I may not know how to do, expanding their knowledge and abilities. Kid’s think the Dot is all there’s, but the truth is you can see everything they use it for and control what they use it on and how they use it. Shopping is turned off, so you never have to worry about a case of soda or the latest toy arriving at your house and you can see when they use Alexa, what content they ask for and how long the Dot is engaged. This is great because if they sneak and stay up late listening to music or trying to hear a book you don’t approve of, you’ll know about it. It would be part of your smart-home as smart parents. 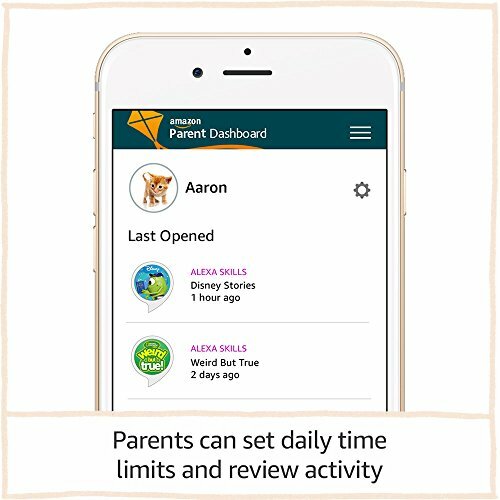 Parental controls allow you to let your kids use the device with confidence and lets them make the most of their experience. It gives your kids a sense of “freedom” without allowing them to stray too far. Using the drop-in feature, you can “call” from your Dot to your kids to let them know dinner is served or to tell them it’s lights out time. So now you can be elbow deep kneading dough for homemade pizza and still remind your kids to wash up before dinner or relaxing on the couch and call them to come into the living for family movie night- without ever having to move, or yell. See if Echo Spot is what you want. 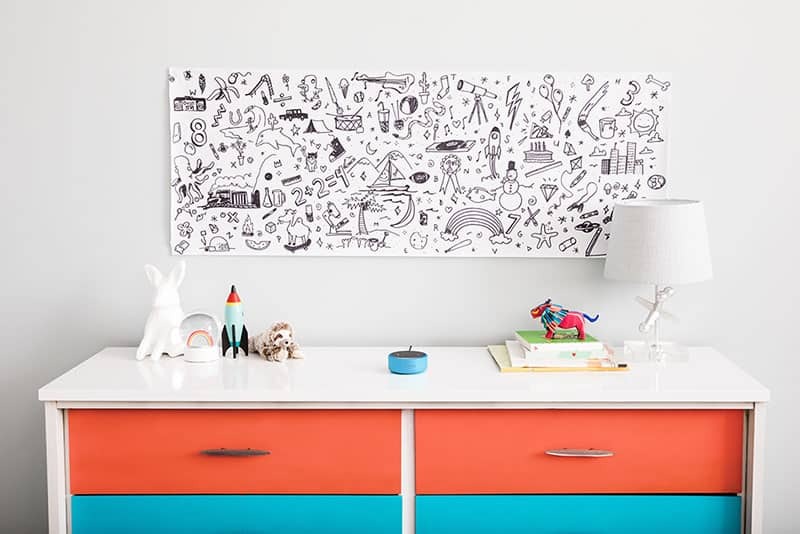 You’ll never have to drag your kids out of bed again thanks to the Dots kid alarms; featuring their favorite TV, movie, and cartoon characters, they can wake up to a song or the voice of Cinderella. Trust me, this feature alone is a Godsend because you’ll never have to fight with them again to get their sleepy heads off the pillow. Just like with Amazon’s kid Fire tablets, the kid’s Dot comes with a 2-year warranty. Which means if they drop it, spill liquid on it, or even set it on fire, you can get a new one at no additional costs. And since kids will be kids, odds are that warranty will come in handy. Getting all that content, from music to games for free, makes the under $80 price tag more than worth it. Sure, the original Dot costs a bit less, but when you factor in all the additional content you need to buy, it would cost triple what the kid’s edition does. Plus, you wouldn’t have the 2-year warranty and would need to filter what they- and you hear! I’m sure after reading my Amazon Echo Dot Kid’s Edition review you can see the true value of this device. See other latest Echo device news. Part entertainment, part learning device, it allows your kids to safely explore their talents and interests while you observe from afar. This helps them develop a sense of responsibility and maturity while having fun- and that’s what childhood is all about. Thanks Alexa!